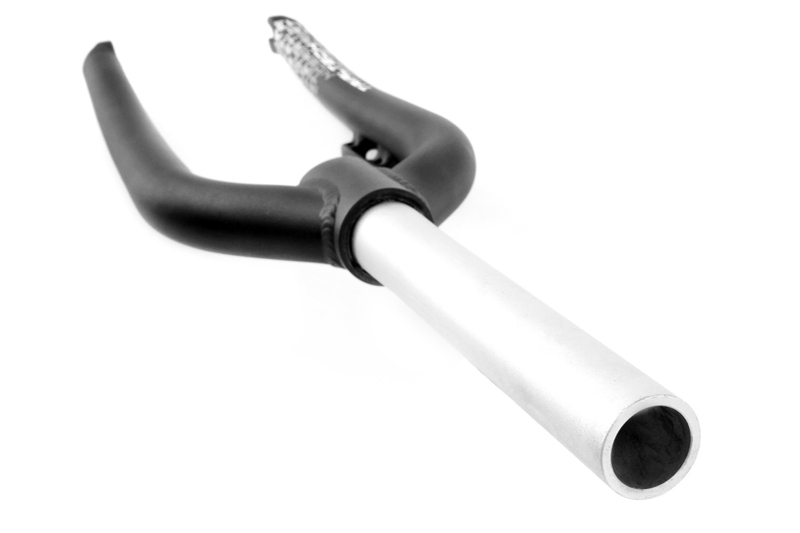 The Trialtech Sport Lite forks are our new 100% exclusive, lightweight, competition style forks. Extensively tested by team riders Kenny Belaey and Jack Carthy, they are proven to perform at the highest level. 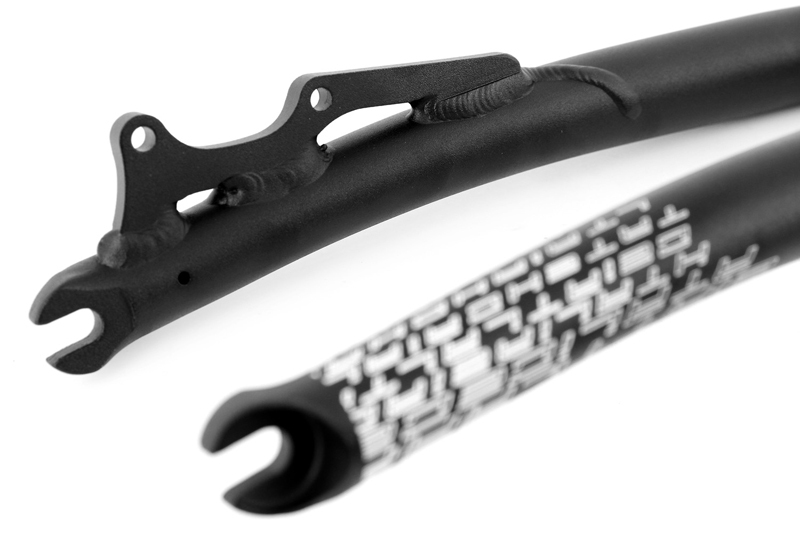 Meticulous design and manufacturing make them one of the best-quality and best-performing forks available, light enough for competition use but durable enough for general trials riding! 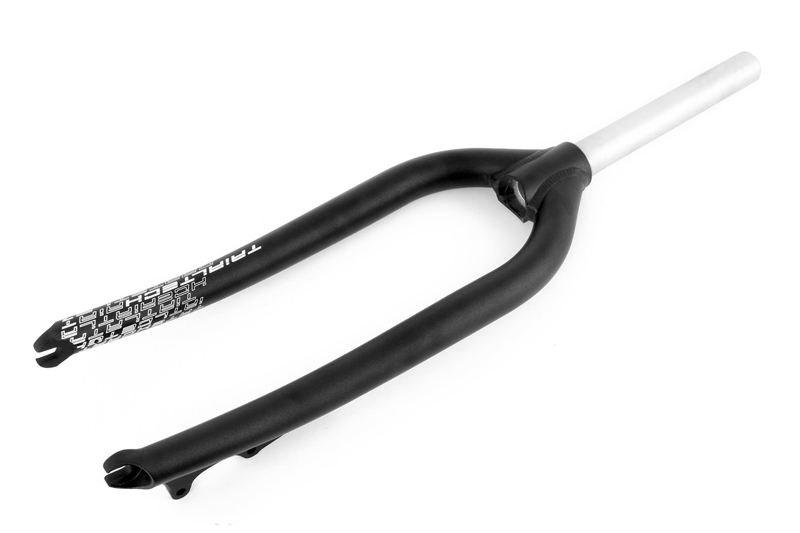 The Sport Lite forks feature a super strong, 7075 aluminium steerer and custom, externally tapered and internally butted fork blades which help to reduce weight and improve overall durability. Compact, forged dropouts also help keep weight to a minimum and complete the refined appearance. The disc version features a custom, IS disc mount design and extended weld path to help prevent cracking at the top of the mount where it joins the leg. The 4-bolt version features custom mounts which are welded low onto the inside face of the leg to reduce stress build up when compared to traditional mounts. The forks are finished with a super-tough, shot blast, anodised black finish and stylish white Trialtech graphics on the lower leg. At just 742g for the 26" (HS33 version) and 662g for the 20" (HS33 version), the Sport Lite forks are some of the lightest aluminium forks available and in testing have outperformed many other lightweight forks currently on the market. The axle to crown length is 405mm for the 26" version and 365mm for the 20" version, both versions feature an axle offset of 30mm for more responsive handling. Customer rating: 4/5. Please note: Disc forks are designed to run a maximum rotor size of 185mm, using a larger rotor will void the warranty.